Which Air Jordan models were most visible on MJ's feet during his days as a Chicago Bulls? Throughout the years, the Air Jordan line has made a name for itself in the history books in a countless amount of ways. Not only have many of Tinker Hatfield's designs helped make the Air Jordan line great, color blocking and color placement has also made just as much as a difference in the undeniable significance of the Air Jordan. Timeless designs such as the Air Jordan XII have provided the canvas for some of the boldest color blocks we've ever seen, creating a look that would catch our attention no matter where on the court MJ was. Looking back on the Air Jordan line, there were plenty of models worn on the court that just caught our eye no matter what with their bold color-blocking. Check the list below for a look at the 10 best Air Jordan On-Court Colorblocks worn by Michael Jordan. 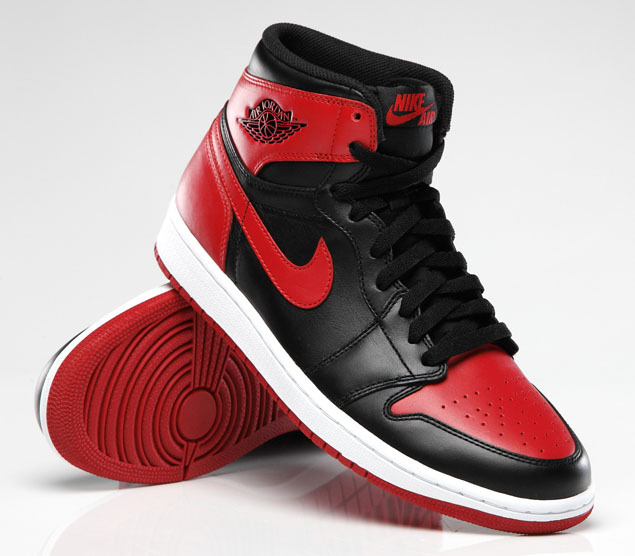 The Air Jordan I was recognized on the court for a number of reasons. They brought color to the court in terms of footwear, and Michael was even banned from wearing them in game by the NBA. 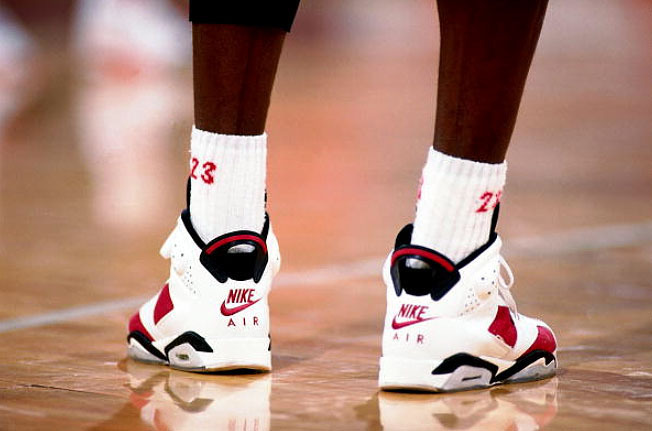 Easily the most eyecatching look for the iconic Air Jordan V, the 'Fire Red' Air Jordan V was visible all over the court on MJ's feet thanks to their contrasting midsole and tongue. 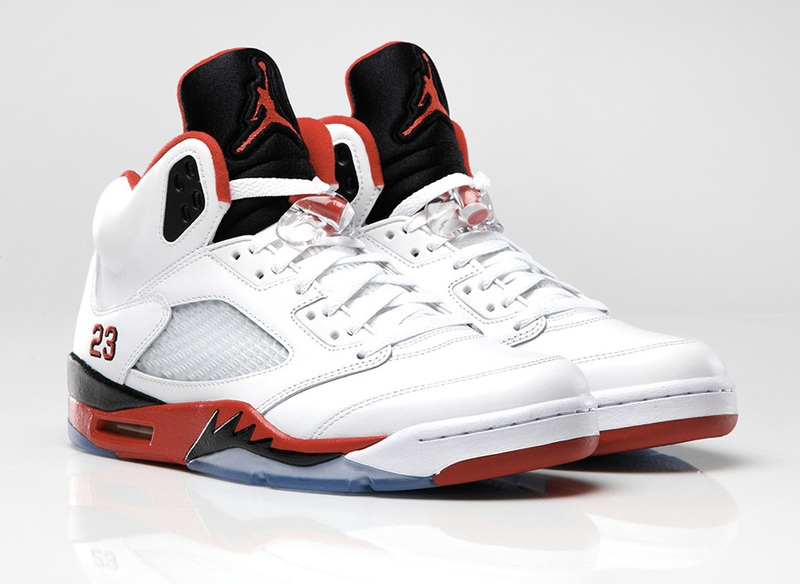 The unique red hue utilized on the classic silhouette also helped make the 'Fire Red' another undeniably eyecatching Air Jordan. 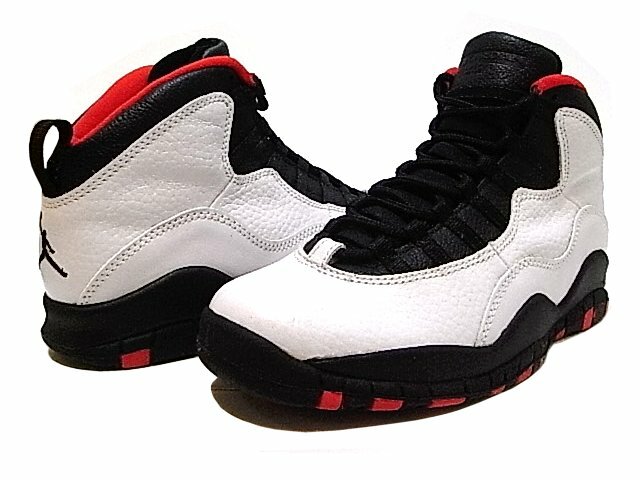 Rocked by Michael for his return to the league after his first retirement from the NBA, the 'Chicago' Air Jordan X featured the perfect color placement to help draw eyes to the AJ X's unique design. Working with a predominantly white leather build, and a contrasting tongue, eyestay and midsole, there was no way you weren't going to notice the 'Chicago' Air Jordan X on MJ's feet. Aside from the Black/Red Air Jordan XI's classic color scheme and iconic patent leather overlays, the timeless style also feature just the perfect amount of contrasting white accents to catch our attention on the court. Laced up by Mike for one of the most memorable seasons of his career, the Black/Red Air Jordan XI never failed to draw the eyes of fans worldwide. Already recognized as one of the greatest Air Jordan styles of all time, the Black/Cement Grey Air Jordan III was Tinker's first example of a perfect on-court color block. 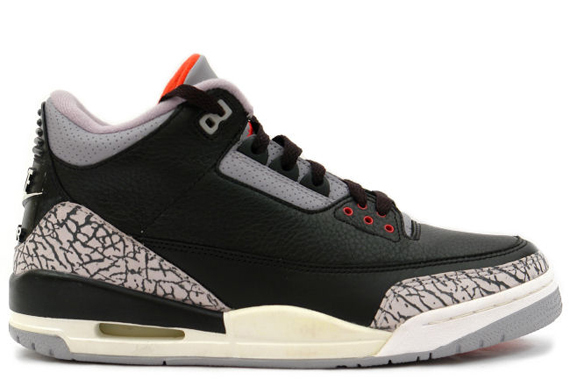 Covered almost entirely in black, the Air Jordan III rocked elephant print overlays and a contrasting midsole in white. Put together perfectly by Tinker, it didn't take much for the Black/Cement Grey Air Jordan III to be noticed on the court. Without a question, the 'Carmine' Air Jordan VI rocks the best color block of all VIs. Covered in a bright red hue and contrasting white overlays, the 'Carmine' Air Jordan VI caught your attention on the court even if you didn't care much about MJ's shoes just yet. 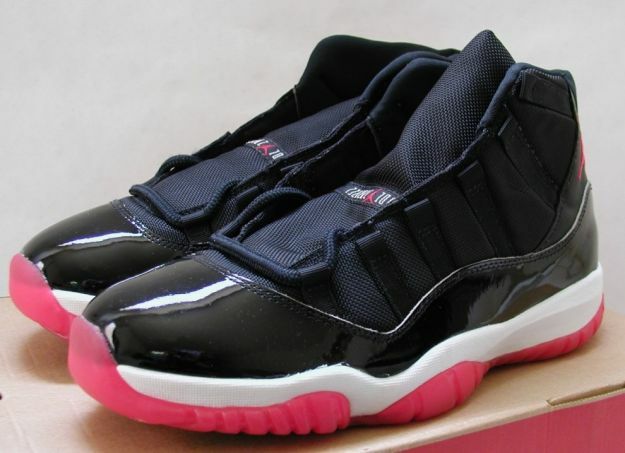 As previously mentioned, the Air Jordan I was one of the first shoes in the NBA to utilize an eyecatching color scheme. The Air Jordan that started it all was first introduced in this white-based design, working with contrasting red accents and black Swoosh logos for a look that quickly caught everyone's eye and introduced the world to the now legendary Air Jordan signature line. 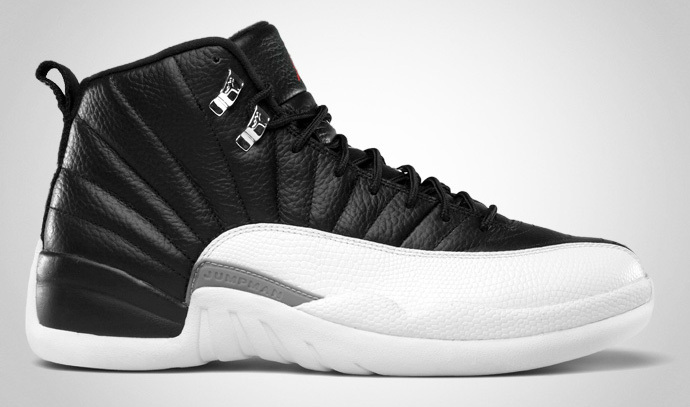 Overall, the Air Jordan XII features arguably the best blocked design over any other Air Jordan. While some colorways aren't contrasted as much as others, the 'Taxi' edition is about as contrasted as it gets with their white leather build and black overlays. 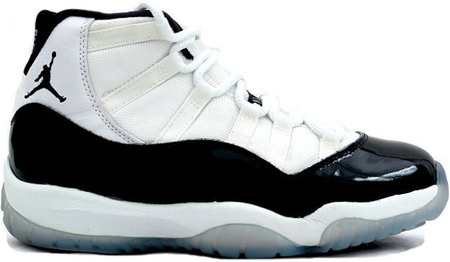 Aside from their most recognizable design element in patent leather, the Air Jordan XI was also as visible as it gets on the court thanks to their simple White/Black color scheme. The attention-grabbing 'Concord' Air Jordan XI immediately caught the attention of fans worldwide as they were worn unexpectedly a season ahead of schedule by MJ during the 1995 NBA Playoffs. While we could have easily gone with the Air Jordan XI, or even the 'Taxi' XII, the 'Playoff' Air Jordan XII takes the top spot for the best on-court colorblock worn by MJ. The rising sun-inspired Air Jordan drew the eyes of many as MJ captured his fifth career NBA title with the Chicago Bulls.